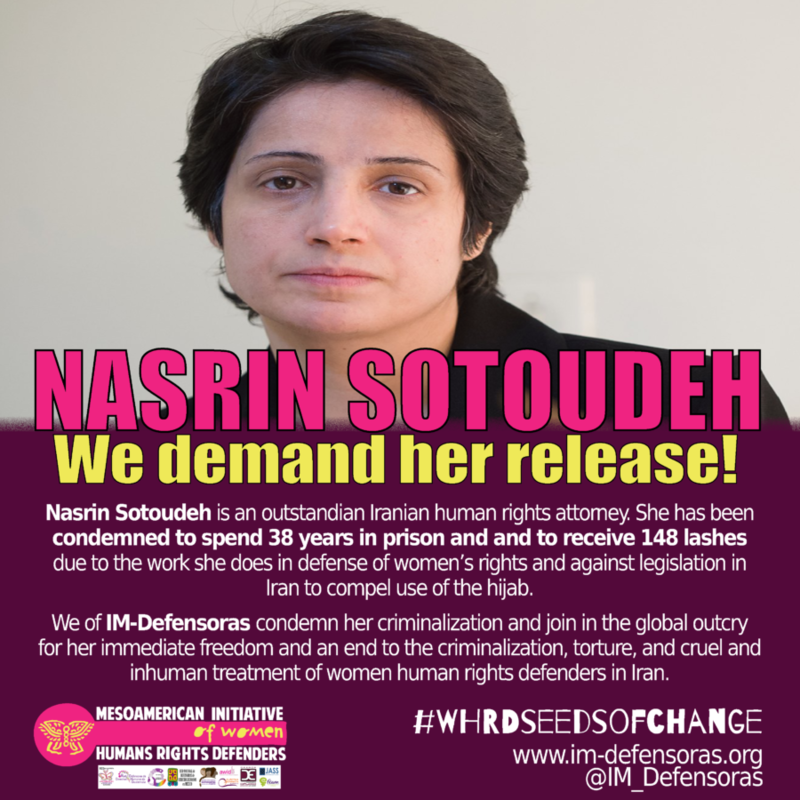 NASRIN SOTOUDEH: We demand her release! 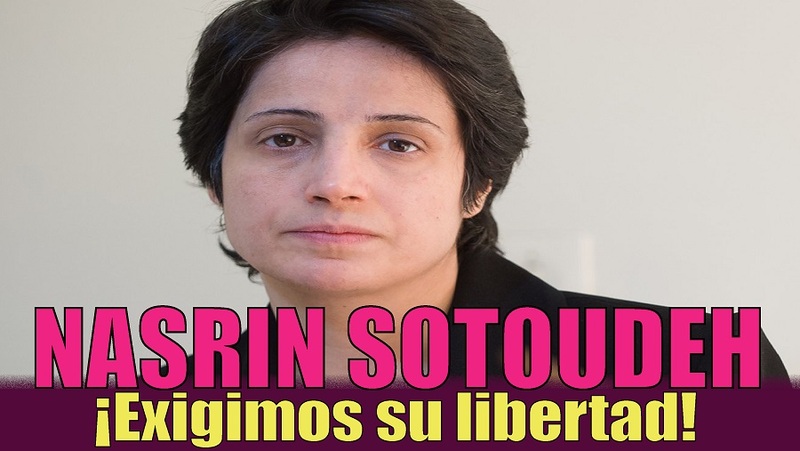 Nasrin Sotoudeh is an outstandian Iranian human rights attorney. She has been condemned to spend 38 years in prison and and to receive 148 lashes due to the work she does in defense of women’s rights and against legislation in Iran to compel use of the hijab. We of IM-Defensoras condemn her criminalization and join in the global outcry for her immediate freedom and an end to the criminalization, torture, and cruel and inhuman treatment of women human rights defenders in Iran.